Nathan Boulette, 22, fled Rite Aid and went to a nearby apartment, where police found him dead Friday. WATERVILLE — The man police believe robbed the Rite Aid pharmacy at 210 Main St. at knifepoint Thursday was found dead in his apartment Friday. Nathan Boulette, 22, of 2-4 Main Place, Apt. 8, was found dead by police executing a search warrant shortly after noon Friday, still armed with a knife “similar to the one used in the robbery” and wearing the hat witnesses said they had seen on him at the scene, said police Chief Joseph Massey. He said police won’t comment on the cause of death until after it is determined by the state medical examiner. Police believe Boulette is the man who robbed the pharmacy just before 3:24 p.m., fleeing with a bottle of narcotics. Massey said that the bottle was not empty when police found it. Boulette’s body was clothed in what he was wearing in the pharmacy’s video surveillance of the robbery, Massey said. Police on Thursday said the robber was wearing a T-shirt and hat with a pom-pom. “He still had the hat on,” Massey said. A press release Massey sent out around 3:45 p.m. Friday says the robber fled the scene in a gray Ford Taurus sedan with a distinguishable front license plate, and detectives got a description of the car from surveillance videotape. Late Thursday, Waterville police Officer Linda Smedberg found a car at 2-4 Main Place that matched the car used in the robbery, and police watched it throughout the night as detectives gathered more evidence linking Boulette and the car to the robbery, according to Massey. 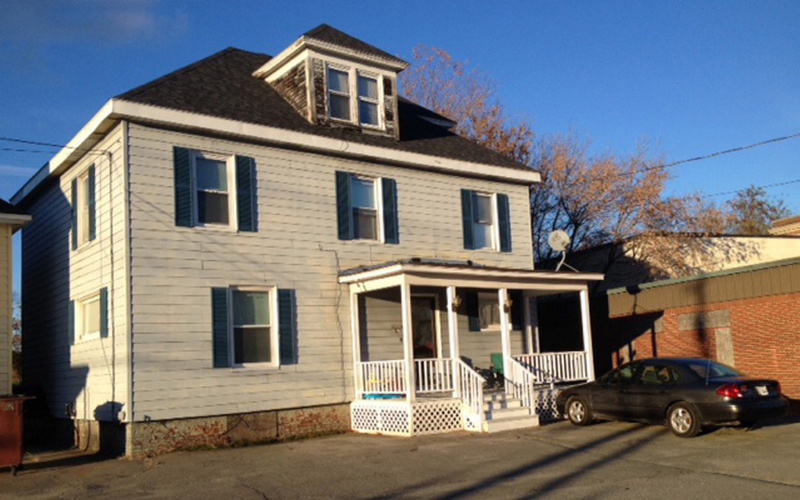 Lead Detective Dave Caron identified Boulette as the robbery suspect and determined the car found at Boulette’s apartment matched the one used in the robbery and obtained a search warrant to enter Boulette’s home, Massey said. At 12:17 p.m. Friday, Waterville detectives and patrol officers found Boulette dead in the apartment. “Boulette was still armed with a knife similar to the one used in the robbery,” Massey said in the press release. Massey said the only history Boulette had with Waterville police before the robbery was from 2014, when he was charged with criminal mischief. He said he believes Boulette lived in the apartment with his mother, but no one was there when police entered the apartment to search it. Boulette’s body was taken to the state medical examiner’s office in Augusta around 2 p.m. Friday. Massey did not know when the autopsy would be done or when results would be released. “I don’t anticipate anything for another week or so,” he said. “They haven’t told us when they’re going to conduct an autopsy. I suspect it will be sometime next week. The three-story Main Place apartment building Boulette lived in is a little less than a quarter mile from Rite Aid and adjacent to the former Boys Club, a brick building that has long been vacant. On Friday afternoon, the Ford Taurus Boulette used to flee the robbery scene was parked in front of his apartment, and no one answered the door. The inside of the car appeared empty except for an ashtray packed with cigarette butts and a plastic juice container in the back seat. Upstairs neighbors Molly Hayden, 52, and her daughter, Maggie, 16, were surprised when told Boulette reportedly robbed the Rite Aid — and that he had died. They said Boulette’s mother works at MaineGeneral Health and often they see her wearing scrubs. “He seemed like a really good kid,” Molly Hayden said. Hayden works in the Thomas College library and said a student she knows works at Rite Aid. “Her shift ended a few minutes before the robbery, so she was a little shaken up,” Hayden said. Hayden said she and her daughter moved to the apartment building about six months ago, and the Boulettes were living there at the time. They said Boulette was a night owl who was never out and about in the morning. All was quiet outside the Boulette apartment late Friday afternoon. A red-covered charcoal grill and two green folding camp chairs sat on the front porch. The chairs were separated by a tiny, blue triangular table containing a little bucket full of cigarette butts. An empty Gatorade bottle was in the cup holder of one of the chairs. 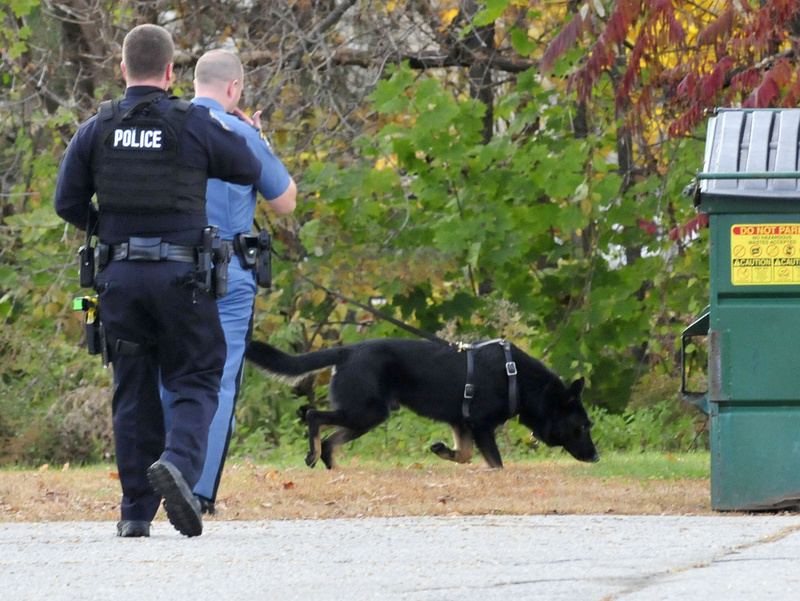 Waterville, Winslow, Fairfield, Oakland and state police responded to the robbery Thursday, set up a perimeter around the area and State Trooper G.J. Neagle attempted to track the suspect with his dog, Draco. Police at the time said the robber may have got into a vehicle at Kennebec Eye Care, just north of Rite Aid. More than a dozen officers responded, and Waterville police were grateful for the help, Massey said, which freed detectives up to review video footage, gather evidence and start developing suspects.